We had house guests this week. It doesn’t happen that often, so when it does, we spend a week in a flurry of deep cleaning the house and shopping for groceries. The irony of this is that this means we’re tired when our guests arrive. And are flattened when they leave. This time wasn’t really any different. But our visitors were family, and it had been years since we’d seen them, so it was nice to spend time together. And to revive my mother-in-law’s recipe for spedini–celebrated by cooking them together with friends and reminiscing over the many, legendary meals she cooked for all and sundry. Underlying that was worry for a friend who recently lost their father. And another friend who is struggling with burn-out. And the fact that our Milwaukee house is still on the market. News reports about Vancouver struggling with the influx of money from China, or that the same behaviors pathologized in poor people are lionized in the rich, or that inequality in pay in Silicon Valley means 90% of residents make LESS than what they made in 1997 when adjusting for inflation, don’t soothe those concerns. The humanity of western doctors being intimidated by the invention of thermometers only reminds me in a different way of how easily human egos are bruised and retreat into defensive anger. So reporting about the winners of the latest annual Nikon microphotography contest, and new footage of a rare deep-sea cucumber were the anodyne I needed. As well as enjoying the latest installment of Dionne Lister’s Witchnapped series. And Seanan McGuire’s first in her InCryptid series, Discount Armageddon. 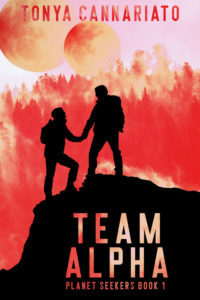 Both were exactly the kind of escapism I was craving–light romantic tension in worlds where the protagonist is trying to find her footing among all kinds of crazy. I think adding those two to my Goodreads challenge means I’ve read more books this year than I have in quite a while. And another author friend of mine reached out to ask if I could review a charity anthology prior to its release in early November, so that number is in no danger of stalling out. At the moment, I have Gail Carriger’s Prudence checked out from the library as an eBook, so it is likely to be a curious tension for me for the rest of the year–whether I read, or whether I write. As for my WIP, I added 1,688 words this week, surprising myself with two quite productive writing nights when I was wiped out from the combination of work and home-prep duties. I seem to recall this having happened in the past: When I’m at just the right level of exhaustion, my brain lets go and my fingers fly, and all of a sudden I have more words than I expected. I’m just at the half-way point, and am actually excited that I don’t seem to have the “floppy middle” syndrome I’ve faced in the past… There might be something to my attempt at hybridizing pantsing with plotting. Because of all the to-ing and fro-ing in the house, my average step count last week also jumped–to 6,650 steps per day. Naturally, something had to give, so my average hours slept per night dropped to 6 hours 54 minutes, with an abysmal low of 4 hours 48 minutes Sunday night. And hubs and I had more than enough socializing this week than to have time for keeping up with our shows. 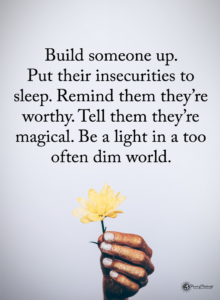 So while there is great uncertainty about a huge number of things, this week’s quote is my reminder: Do what you can to be a light for the world. There’s more than plenty darkness out there; don’t let it swallow you. Even if it means you are just cleaning your house. Or cooking extra food. Or escaping into fiction. Or whatever it is that nourishes your soul. I’ll be retreating into our home nest this week to do what I can in the way of being the light over the longer term by generating more of my story. I encourage you to do whatever it is that makes you shine brightest. 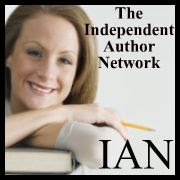 And to go check out how my fellow authors are doing in their pursuits of their goals.